In 2004, I was at the University of Edinburgh studying music technology. One of our modules required us to present something in front of the class. It was a small class, and I knew my other classmates well, but rather than standing up and talking for 5 minutes, I skipped the session and failed the module. That’s how terrified I was of public speaking. 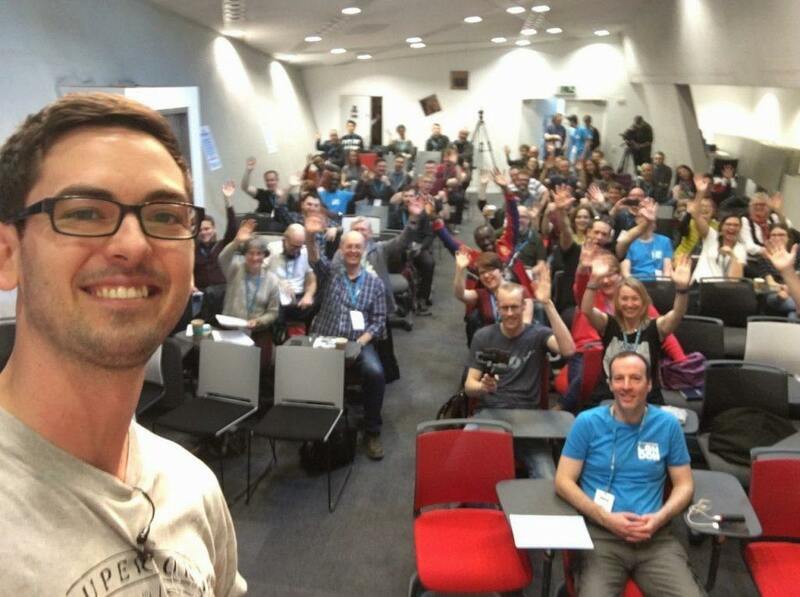 Fast forward to 2018 and I just gave a talk at WordCamp London in front of, maybe 150, peers and loved every minute. I’m a typical introvert, but over the years I’ve developed some coping mechanisms and mindsets that allow me to do what was previously unthinkable. I’d like to share some of those techniques in the hope that they can inspire you to have the confidence to get on stage and experience the thrills and rewards of public speaking. If this is your first talk, and you’re nervous about it, it doesn’t make sense to do an hour session in front of a two thousand person audience. Find a local meetup focused on a topic that you’re interested in and see if you can do a ‘lightning talk’ or another short-form session. This will minimise the stress involved in preparing the talk, but also be much less intimidating than walking out on stage in front of hundreds or thousands of people. It’s worth noting that small audiences can be intimidating in their own way. Sometimes the physical proximity can make me much more self-conscious. It’s worth attending a meetup or event before speaking so that you can get a feel for the atmosphere and space. The hardest thing can be having the confidence to submit a talk in the first place. Just do it. Once a talk has been accepted it’s hard to back out (don’t back out!) and the conveyor belt has started. Yes, you’ll be nervous but don’t let those nerves stop you from sharing your knowledge and passions. There’s a great TED talk by Tim Ferris on ‘Fear Setting’. Tim argues that fear is what holds us back from achieving the things that we want in life, and that if we work out what we’re scared of we can work to minimise their impact and lower their chances of happening. As you can see, when you externalise the worst-case scenarios, they’re usually not that bad! 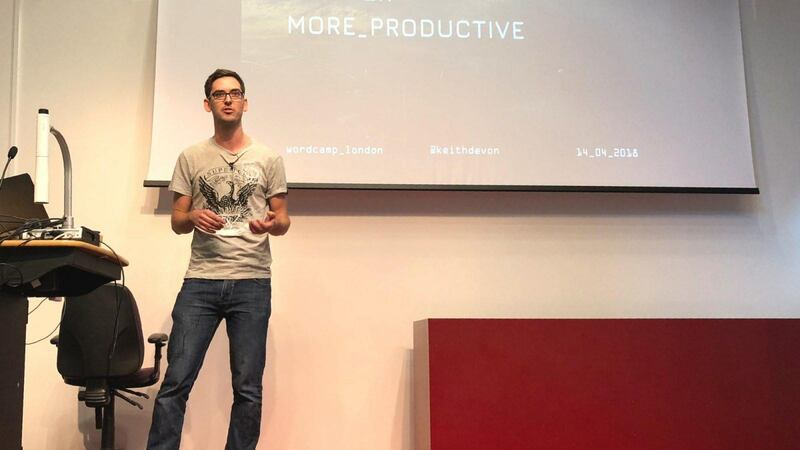 Have you ever watched a talk by an obviously nervous speaker? What were your feelings? Maybe you were slightly uncomfortable. But I bet you also had admiration for that person for being brave. I would guess that the majority of people would feel the same. No-one wants you to fail. People will respect your courage to do something that is outside of your comfort zone. Some people are natural storytellers and can talk un-prompted for hours. Most introverts are the opposite. Something that has always scared me is that my mind will go blank and I’ll forget what to say, or lose my train of thought. This happens to me all the time – especially when I’m under stress. If you have a poor memory and you’re worried about mind-blanks, use slides to jog your memory and remove the stress of having to keep everything in your head. My recent WordCamp talk had 84 slides and it was only a 30-minute talk! It’s very easy for introverts to get stuck in a vicious cycle of negative thoughts, and not see the bigger, often much less scary, picture. Make a list of reasons that you’re doing this and reasons that you’re going to succeed. I used this technique for the first time this year and it really helped. When I was feeling positive about the talk I would add these thoughts to the list, and when I was stressed or anxious I would read the list and it would help to re-set the conversation in my head to something more positive. What’s the worst that can happen?!! I kind of wish I didn’t care about how I look, but I’m self-conscious, so I do. If I think that I’m looking smart, I feel better about myself and in turn, I feel more confident. This year I bought some new clothes and shoes and had a haircut a few days before. It might sound vain, but whatever works to make you feel good! On the day of the talk, I’ll usually be getting pretty nervous. I can feel my heart rate increase and the adrenaline start to ramp up. Use your panic list to calm yourself and focus on the positives. Embrace the nerves, they will help you stay energised and focused. Not everyone is a fan of meditation, but I find that it really helps me. Maybe it’s just the placebo effect of doing something positive. I use the Headspace app and they have presentation specific sessions to help you relax and feel grounded and focused. I find that it really helps to get to the room early – before it fills up with people. Get comfortable with the space before it becomes a stressful environment. As the audience arrives, it feels like you’re welcoming them into your turf. I usually have a lot of nervous energy directly before a talk. I’ve found that doing some stretches and simple exercises, just for a few seconds helps to release some of this energy and get me in a positive state of mind. Obviously, it’s best to do this in a private place, away from the audience! You’ve been introduced, the applause has died down. Over to you. One of the most difficult parts of public speaking can be the silence. All you can hear is your own, sometimes wavering, voice and you have no idea how the audience is reacting to your talk. A trick that I’ve used is to get some early feedback or interaction with the audience. If you’re funny you could tell a joke. Getting a laugh is a great way to settle the nerves and generate a good atmosphere in the room. This got people smiling, laughing and created an early connection with the room. Another popular technique is to ask a question and get people to shout out answers or raise their hands. You might look out at your audience and notice that people look bored, uninterested, sleepy, whatever. It’s not the most encouraging thing when you’re already nervous. Firstly, it’s not your fault. Even the best speakers don’t have the whole room hanging on their every word. And some people just don’t look interested even if they are. A good trick is to find someone, maybe a friend, who is smiling, nodding or generally looking interested. Keep looking at them for reassurance that things are going OK. Finally, be yourself, be enthusiastic, and remember, it’s more about your message and your audience than it is about you. Focus on sharing what you’re passionate about and try to enjoy yourself – you might just want to do it again.